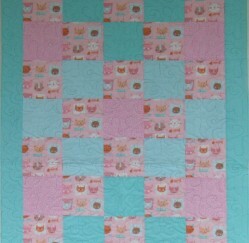 A unique handcrafted cot quilt in pink and aqua with comic cat faces, simply pieced in squares with an outer border. Backing is self-striped in colours ranging from dark to light aqua. Top quality cotton fabrics and wadding. 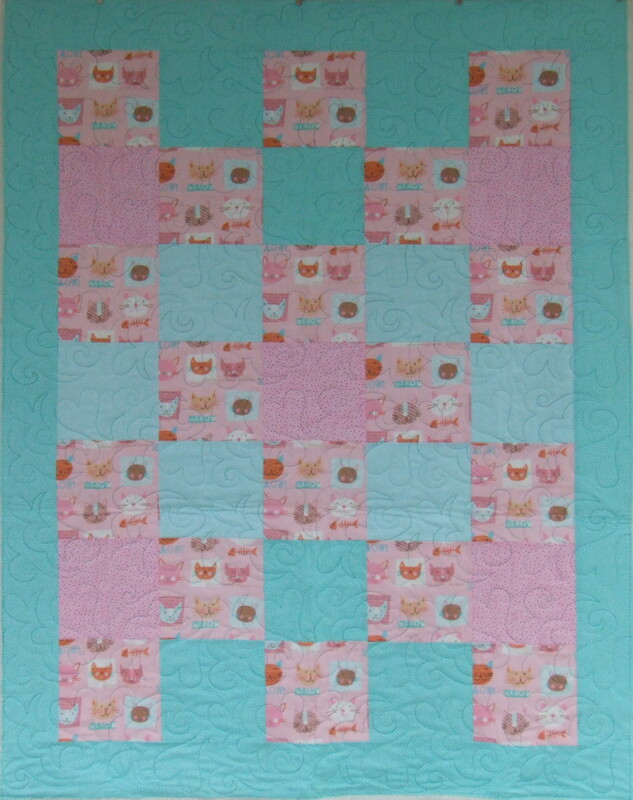 Subtle hearts and swirls overall quilting pattern. Definitely one for the cat lover. 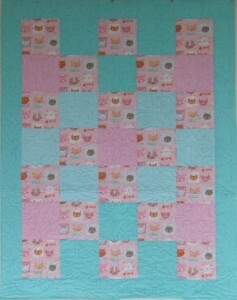 Can also be used as a wall-hanging in the nursery.